A cozy reading nook hidden behind a wall of bookshelves. Calling all book lovers! Situated between Lime Avenue and Apricot Avenue is a world of wealth, if one believes knowledge is the greatest treasure. Adventure seekers looking to solve maze-like tunnels of books and searching for the “perfect” read among thousands have a home at Brant’s Used Books. 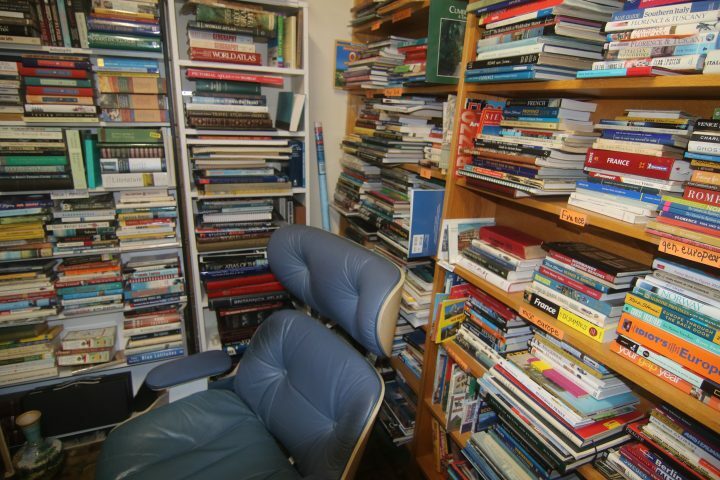 Brant’s Used Books, a second-hand bookstore in Sarasota, is having a sale from Nov. 20 to Dec. 2 to sell the 25,000 books in their warehouse. The sale marks the first step of owner Barbara Barone’s new project to open up more space in the store and promote community gatherings and events in the future. She would also like to bring in a small coffee shop. The face of Brant’s. 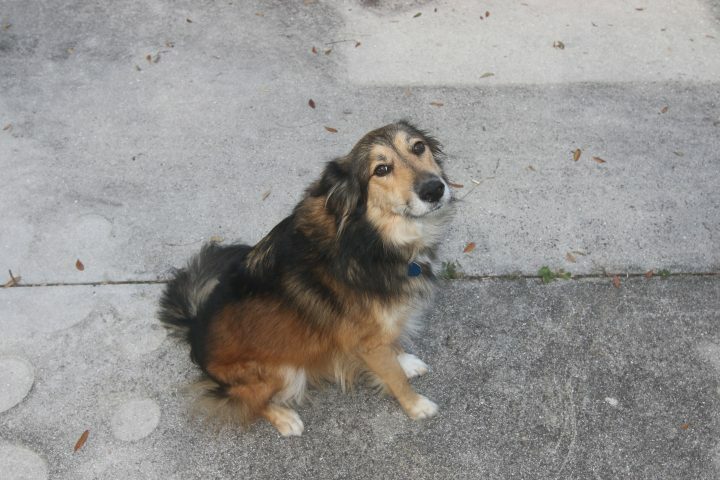 Max is the resident pup who is always looking for a buddy to cuddle with while they read. “I want to create a place that can be enjoyed by the community,” Barone said. Glen Brant opened Brant’s Used Books 62 years ago in an old army barrack built in 1942. After he passed, Barone’s mother purchased the store and moved locations. After Barone’s mother passed, Barone took over the store and moved it to its current location. Over the years, Brant’s has moved three times. During each move, Barone packed away thousands of books that she didn’t have space for on the shelves, and these are the books that will be sold at the event. 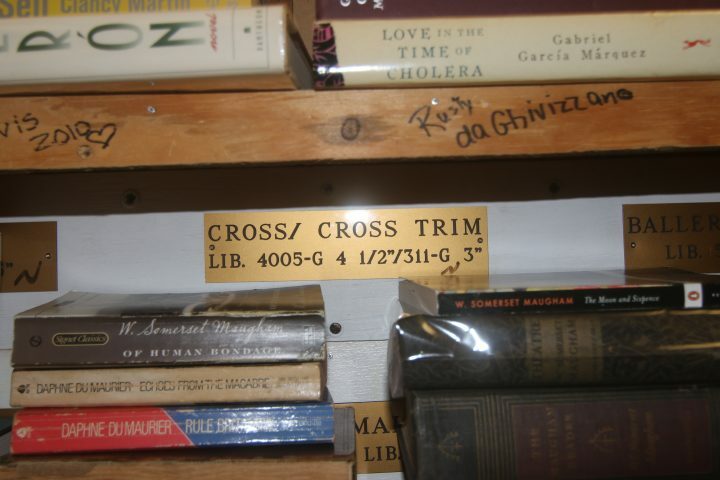 One of five shelves filled to the brim with R.L. 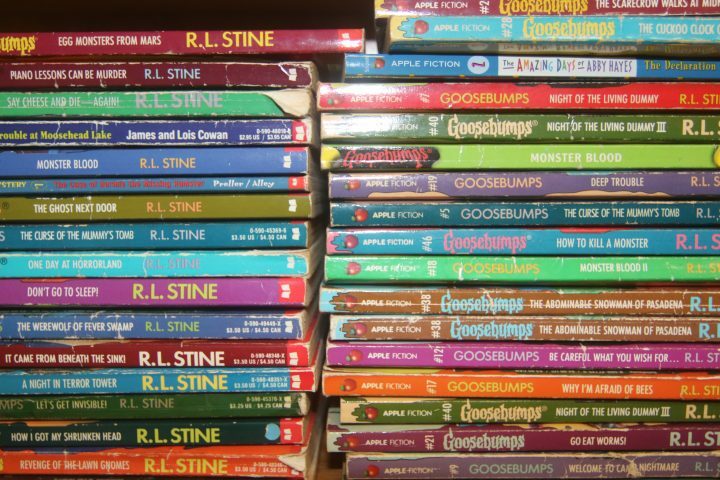 Stine’s greatest works, The Goosebumps Series. Brant’s Used Books has a book on every subject, including history, language and spiritual healing. Comics, best-sellers, cookbooks, out-of-print books and an entire bookshelf of Goosebumps chapter books call this store home. Not counting the stored books, Brant’s holds over 150,000 volumes, all of them used. Brant’s also has a “Books on Trade” program where people can bring in their old books and get store credit for books of similar value to the one they brought in. 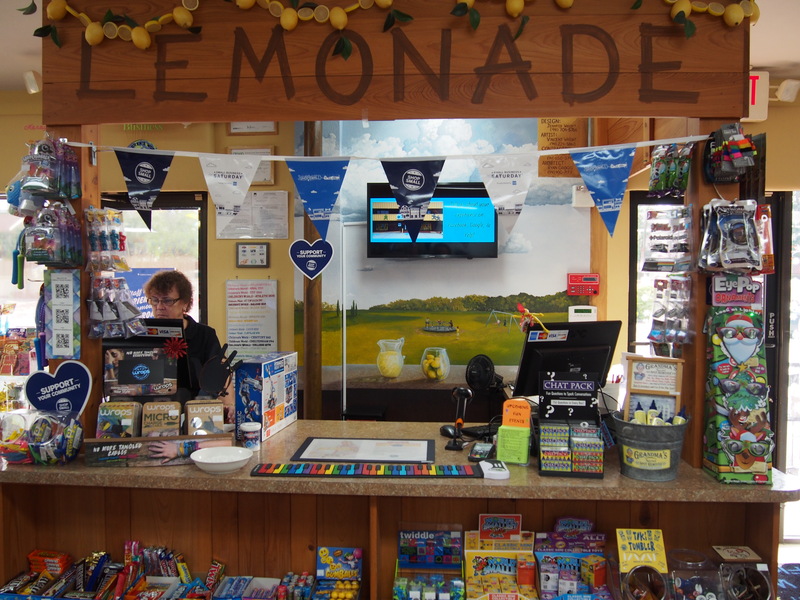 “The amount of books that we’ve traded in the last 62 years of business have, I’m sure, saved a lot of trees from the landfill, so I’m really proud of that,” Barone said. Very few used bookstores still exist in Florida, largely due to corporate competition, but Brant’s manages to stand strong while also remaining affordable. “I try to match Amazon and eBay prices within a few dollars,” Barone explained. The most recent location of Brant’s used to be a trophy making store, so Barone recycled the work bench wood into more bookshevles. Barone specified that the sale is not to rescue Brant’s, but simply to aid in minor building improvements and expand possibilities for a study space and a coffee kiosk. Barone has already started to utilize the back patio of Brant’s for events. Sarah Gerard, author of the novel Binary Star and the essay collection Sunshine State, organized a poetry reading on Nov. 8 at Brant’s. “I wanted my students to be involved in local literary culture,” Gerard said. Gerard is the Writer-in-Residence at New College for the 2018-2019 academic year. The reading featured students in Gerard’s writing class, Identity in 21st Century America, as well as acclaimed author Patty Yumi Cottrell, who read an excerpt from her book, Sorry to Disrupt the Peace. The evening concluded with s’mores and burning papers with people’s worries written on them. 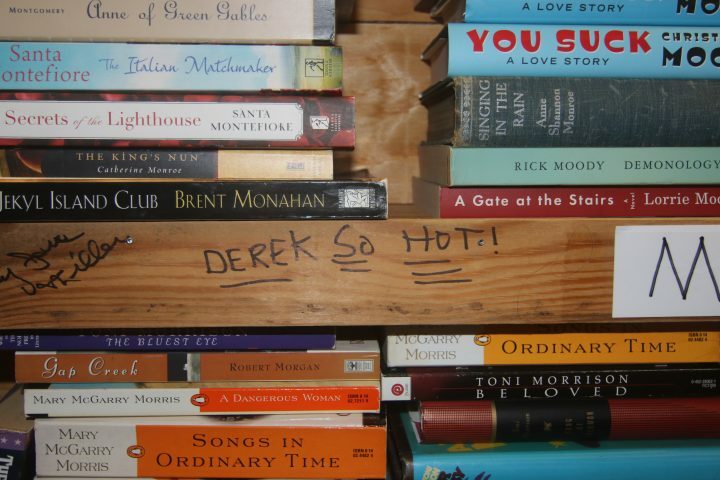 The bookshelves at Brant’s are full of messages left by book-lovers. Barone hopes the 1,000 square feet warehouse she’s cleaning out will turn into a usable space. She sees it as a place to host book and writing club meetings, book signings and informational sessions about how to publish a book and how to run a bookstore in the age of Amazon and eBay. All these efforts are for the loyal patrons of Brant’s. Brant’s Used Books is located at 429 N. Lime Ave., Sarasota. Barone will host a Reddit AMA on Nov. 27 where she will talk about how to run a bookstore. Time is TBA. Information for this article was gathered from brantsbooks@gmail.com.